Teaching about whiteness is a sensitive subject that requires tact, humility, and patience. While learning about whiteness is critical for all students, regardless of race, the subjective connections many white students have to whiteness itself can stir up intense emotions we must be ready to wrestle with. Learning about white privilege forces white students to grapple with the ubiquity of unquestioned worldviews and assumptions about their biographies. It also forces white students to interrogate their experiences as beneficiaries of a set of social, economic and political advantages. In short, confronting whiteness necessitates a self-imposed threat to one’s integrity and achievements attributed to individual will. I. You can begin your lecture by presenting students with a couple of scenarios. Imagine a scenario in which a black woman and a white woman are both shopping in the same grocery store. After collecting all of their items, both women enter the same checkout line. The white woman is before the black woman in line. When the white woman is checking out, she presents the cashier with a check. The cashier accepts the check and completes the transaction. When the black woman is checking out, she also presents the cashier with a check. However, the cashier says “I’m going to have to see some identification.” The cashier also makes clear that the ID must be a state/government-issued ID (e.g. Driver’s license, passport). Student ID’s or employee badges are unacceptable. How did whiteness function (or not) for each woman? Kareem is a 23-year old African-American male. He’s applied for several jobs without receiving a call back from prospective employers. After several fruitless attempts to find work, Kareem decides to deliberately use his middle name, John, on all subsequent job applications. Within two days of submitting an application, Kareem receives a call from a prospective employer asking him to come in for an interview. How do you see Kareem’s interview unfolding? II. Here are some questions to orient class discussion. How is a commitment to whiteness also a commitment to white supremacy, capitalism, imperialism, and heteropatriarchy? Whose whiteness is accepted/declined? What social contexts promote one outcome over the other? How will your students become more responsible or achieve what some describe as “color consciousness”? III. Next, introduce the image below. IV. Ask students what they think this image implies. V. Here are four metaphorical meanings to consider. Visa as the credit card. “It’s everywhere you want to be.” The issue is that it’s also everywhere I (and other people of color) want to be too. Visa (as a travel authorization document). I see whiteness operating as a sort of passport for some, as well as a pass-port for certain others (i.e. mixed-race or racially-ambiguous folk). Visa as a form of currency constantly being exchanged between all racial/ethnic groups within the interpersonal marketplaces of society. This means that whiteness is not solely exercised by whites, but also appropriated by nonwhites. 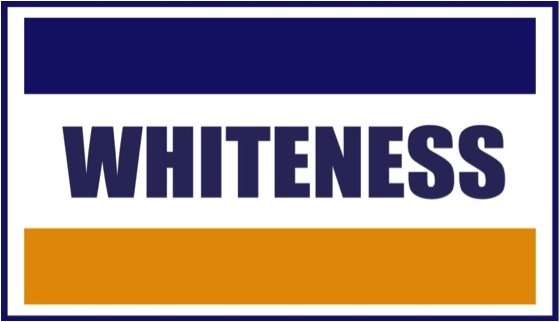 Similar to an actual Visa credit card, whiteness is a transnational form of currency accepted worldwide and often wielded as a means of legitimating imperialist aims. Feagin, Joe R. 2010. The White Racial Frame: Centuries of Racial Framing and Counter-Framing. New York, NY: Routledge. Lipsitz, George. 2006. The Possessive Investment in Whiteness: How White People Profit from Identity Politics. Philadelphia, PA: Temple University Press. Mills, Charles W. 1997. The Racial Contract. New York, NY: Cornell University Press. As many Sociology and Feminist blogs are writing, it’s that time of year. The racist, classist, homophobic, sexist tendencies and expressions make me cringe. This morning, for my Soc 101 class — a large lecture setting of over 150 students — I decided to offer an extra credit project. As discussed previously, students struggle with this large GE style class. I like to offer meaningful, analytical extra credit projects through out the semester. I use Allen Johnson‘s text called, Forest & the Trees, Sociology as Life, Practice, and Promise and we are about to begin the inequality chapter. So, perfect timing. Feel free to use the assignment (below) and revise it as you wish. I want to give a shout out to the scholars, blogs and websites that had all the material available. :-) I would love to keep adding to this assignment and publish a bit earlier in the fall for next year. So, I welcome you to post additional links. For example, I don’t have a “working class” resource but we certainly have seen offensive “white trash” parties, costumes, etc. PS — My own kids are going trick-or-treating as twin witches. I have a 4 year old Pablo and a 3 year old Cecilia. Pablito chose their costumes. We usually do about four houses, and then head back to our own house to hand out candy. Our block is pretty scary for Halloween! 6) How things have changed? Are girls dressed up “sexier”? 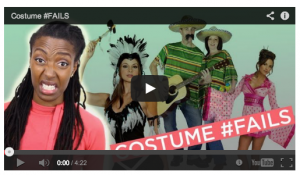 9) How do you politely explain to a friend that their chosen Halloween costume could be racist? Whether you dress up or not, on Thursday check out the costumes people are wearing. Become an embedded Sociologist as you attend parties, while you are at work, go trick-or-treating with your kids, or just walk around outside. Note what people are wearing, note the racial undertones (or racist costumes), the gender performances of men and women in their costumes, etc. Note how people dress their dogs, kids, etc., on these issues as well. Then, reflect explicitly on what you have learned from the above websites and resources. Include the course material from Unit 4 / Forest&Trees Chapter 3. Be sure you are clear about what sources you are using and drawing upon in your discussion. Tie all this together — what you see, what you learned, and your reflections. No need to do “official” citations but do mention the website, video, or author as you reflect on them. Aim for 2-3 pages of text. Turn in a paper copy to me in class AND post on “Caring is Sharing Forum” at the top of our course website. DUE DATE — Wednesday, November 6 in class / uploaded that night. Earn up to five points!!! 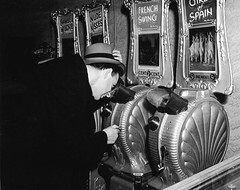 We are looking to make teaching TSP a home for lists of useful films, documentaries, memoirs, and books of fiction to be used when teaching sociology (see our post on Sport and Society Films). If you have a request for a specific topic or course, let us know in the comments. And, if you have a list to share, definitely let us know in the comments. Sport and Society – Films and Documentaries! The following is a collection of films, both fiction and non-fiction, that have been recommended for use in a Sport and Society course. We encourage you to recommend additional films, readings to be used alongside the films, or tell us about your experience. *Special thanks to the NASSS community for providing so many suggestions. Training Rules (2009) – It concerns the scandal around former Penn State Women’s Basketball Coach, Rene Portland. Maybe available on Hulu. PBS series “American Experience” has an episode on Jesse Owens – you can screen it online. Ahead of the Majority – It covers Patsy Mink’s political career and includes a section on her involvement in the politics of Title IX. Bigger, Stronger, Faster (2008) – examples of hegemonic masculinity and how the media influences males’ self-images (not just females, as is so commonly discussed). Not Just A Game (2010) – Dave Zirin provides a sociological analysis of how sport influences our society, particularly the parallels between the institution of sport and the military. An Enforcer’s Story – This is a documentary style video available in conjunction with a piece that ran in the NY Times about hockey enforcer Derek Boogaard’s death. Murderball (2005) – documentary film about tetraplegic athletes who play wheelchair rugby. It centers on the rivalry between the Canadian and U.S. teams leading up to the 2004 Paralympic Games. Head Games (2012) – related to concussion and sport. More Than a Game – Documents the early career of the heralded LeBron James’ high school experiences. FIT: Episodes in the History of he Body (1991). This focuses on the history of the how we understand a ‘fit’ body, including analysis related to race, social class, gender, disability and age. Undefeated – Oscar-winning 2011 documentary directed by Daniel Lindsay and T.J. Martin. The film documents the struggles of a high school football team, the Manassas Tigers of Memphis, as they attempt a winning season after years of losses. The Morgan Lacrosse Story (pbs) – This film tells the story of the nation’s first and only college lacrosse team at a historically black institution. Dogtown and Z Boys (2001) – The development of skateboarding in Southern California, great for revealing subcultural dynamics. First Descent (2005) – A history of snowboarding and insight into the gender and age dynamics within core action sport groups. This Ain’t California (2012) – In German with English subtitles, but offers a fascinating perspective on the development of skateboarding (and youth counter cultures) in East Berlin during the 1980s. Offside (2006) – from Iran. Interesting to look at cross-cultural understandings and expressions of gender. It looks at how gender is used to define spaces of sport: specifically the soccer stadium. The Legacy of Brendan Burke (2010) – about Brendan Burke, homosexuality, hockey. The Code (2010) – about hockey’s unwritten law of fighting and the men who live by it. The Other Final – Made by two Dutch filmmakers who were dismayed that the Dutch national team did not make the 2002 World Cup, they arranged to have the then two bottom-ranked (by FIFA), Bhutan and Montserrat, to play a match. A State of Mind (2004) – on the mass games in N. Korea. The Game of Their Lives (2002) – by Daniel Gordon on the N. Korean 1966 World Cup Team. Kokoyakyu: High School Baseball – On high school teams competing in Japan’s famous national “Koshien” tournament. Tokyo Olympiad parts – great for considering how Japan sought to represent itself during the 1964 Games. Gaea Girls (2000) – on female wrestlers in Japan. 30 for 30 (ESPN series) – many documentaries that could be useful for teaching. TSP recently unveiled a new initiative: There’s Research on That! In the posts, TSP will provide insight into how social scientific research can inform current events. This information would be useful for any classroom, as it’s important to make the material relevant to students’ lived experiences. So, we recommend checking TROT if you are looking for a way to integrate current events into your class! Dr. Abigail C. Saguy, an Associate Professor of Sociology and Gender Studies at UCLA, recently stopped by Office Hours to talk about her new book What’s Wrong with Fat? This a a great podcast to assign to your students. It is not only a fascinating topic, but Dr. Saguy does a excellent job of explaining what a “frame” is how sociologists study framing strategies. This podcast would be an excellent addition to a course or section on gender, medical sociology or the sociology of bodies. But, it would also work very well in a research methods or media course as an introduction to framing and counter-framing. Define “framing” in your own words. Why does framing matter? What does it mean the “denaturalize” a frame? Using the abortion issue as a example of social movement framing, how do different framing strategies radically change how the issue could be understood by observers? List and describe all the ways that fatness is framed and counter-framed, according to Dr. Saguy. Dr. Saguy points out that how our society chooses to understand fatness will determine our responses to it. Choose one frame described by Dr. Saguy and explain what the social consequences of that frame might be. Now, use what you have learned about framing to find another example of a social issue with competing frames. Describe the social issue and at least two competing frames that you have observed. What are the goals of each framing strategy? How do those using this frame want you to understand this issue? For each competing frame, describe the logical response to the social issue that in encouraged by that frame. In other words, what are the logical responses and potential social consequences of each frame? A few years ago, I was a teaching assistant for an introduction to sociology course that structured every reading and lecture around exploring the idea that social class determines life chances. Reading the TSP special article Environmental Inequalities, by Hollie Nyseth Brehm and David Pellow, reminded me of what a powerful and simple framework that is to introduce new students to the discipline of sociology or discussions about social inequality in general. In the article, Nyseth Brehm and Pellow tackle the issue of environmental injustice by looking at how low income people, immigrants, people of color, and indigenous communities are much more likely to live near a major environmental hazard. Dismissing the idea that this is an “environmental” problem, they explain that it is instead rooted in broader economic, political, and social inequalities that are imbedded in our social discourses, structures, and institutions. The people who live near these hazardous areas face profound risks: for example, pollution from two coal-fired power plants in Chicago is thought to be responsible for 42 premature deaths, 66 heart attacks, and 720 asthma attacks each year. Many more environmental hazards like this exist across the country and world. This article would be a terrific way to introduce students to discussions on inequality, environmental policy, or climate change. But it would also be effective as part of a class that seeks to expand students’ understanding of the relationship between social class and “life chances”—or the odds that an individual will obtain the resources and opportunities necessary for a long and successful life. There is tremendous evidence that the life chances of the poor in the US suffer in comparison to the wealthier strata of society. Wealthier individuals have increased educational opportunities, income earning potential, and employment prospects—all elements of living a successful life. But the evidence also suggests something more alarming: a host of studies have posited a relationship between class and mortality directly. Put simply, poor people in the US have lower life expectancies than their wealthier compatriots. There are a variety of mechanisms though which this inequality comes about: for instance, poor people may have less access to quality medical care and nutrition, in addition to a higher risk of occupational hazards (e.g. black lung or injuries from heavy machinery). Furthermore, as the article discusses, the poor disproportionately live in close proximity to environmental hazards that threaten their health. Below are a few examples that you could draw upon to make these points in class. The Titanic is the classic extreme example of the relationship between social inequality and mortality, and it could be used in a class setting to begin to illustrate how gender, race, and aspects of social class impact our lives. It is well known that a passenger’s chance of surviving the Titanic disaster was directly tied to gender and class. Because the ship was divided into 1st, 2nd, and 3rd class cabins, class stratification was exceptionally clear. 62 percent of 1st class passengers survived (97 percent of women and 32 percent of men), versus 43 percent of 2nd class passengers (86 percent of women and 8 percent of men) and 25 percent of 3rd class passengers (49 percent of women and 13 percent of men). These percentages exclude children, and the source is found here. Assess the statement: Nothing exposes social inequality like disasters. Do you agree? If so, why might this be the case? If not, why not? Can you think of examples of other natural disasters where this statement was accurate? There are untold other topics in this line of discussion—including on the relationship between social class and incarceration, illness, death in war, and crime (selected readings on these subjects are listed below). At this point it would be useful to bring in Nyseth Brehm and Pellow’s article to emphasize to students that even in a less “extreme” scenario, the relationship between social class and life chances is a defining feature of our social world that must be analyzed seriously. Assess the statement: Class determines place of residence. Do you agree? If so, why might this be the case? If not, why not? How might a communities’ ability to demand better environmental protections also be mediated by race or class? Can you think of other situations in which class, race, or gender may play a determining role in an individual’s life chances? Mortality? Chance of success in the future? Zeitlin, Maurice, Kenneth G Lutterman, and James W Russell. 1973. “Death in Vietnam: Class, Poverty, and the Risks of War.” Politics & Society 3(3):313-28. Dunne, John Gregory. 1986. “The War that Won’t Go Away.” The New York Review of Books. Antonovsky, Aaron. 1967. “Social class, life expectancy and overall mortality.” The Milbank Memorial Fund Quarterly 45(2):31-73. Donkin, Angela, Peter Goldblatt, and Kevin Lynch. 2002. “Inequalities in life expectancy by social class, 1972–1999.” Health Statistics Quarterly 15:5-15. Deaton, Angus. 2003. “Health, inequality, and economic development.” Journal of Economic Literature 41(1):113-58. Tavernise, Sabrina. 2012. “Life Spans Shrink for Least-Educated Whites in the US.” New York Times. *Marie Berry is a graduate student in the Sociology Department at UCLA. Special thanks to Maurice Zeitlin for the inspiration for this post. 1) What is compassion, and what is morality? 2) What does Sznaider say has influenced an increase in compassion, and why is his thesis surprising? 3) What types of methods does Sznaider use to better understand what influences compassion? Why does he say that interviews are inadequate? Below is a guest post by Zachary Miner, a Sociology PhD student at SUNY Albany. Zachary’s dissertation addresses stigma and firearms ownership cultures in the United States, but he enjoys researching a variety of other topics including gender/sexualities, work, and addiction. In the post, he suggests an activity which uses examples from students’ everyday lives to explore gender stereotyping. When presenting a topic in class, I find that it enhances students’ interest and participation levels if they see the relevance of that topic to their own lives. For that reason, I try to incorporate examples with which students are likely to be familiar, and which will cause them to engage more with the lesson. This is certainly good practice at all times, but it is especially important when discussing something that students may have deeply-held, or “common-sense,” beliefs about, such as gender. Students may find it unconvincing, for example, if you simply state as fact that adult women are often infantilized and marginalized when they try to enter realms traditionally dominated by men. However, if you can provide an example that they’re familiar with, and show them how to critically examine that example, it will help lay the groundwork for a deeper understanding of the concept. Find one or more instances in your daily life where adult women are marginalized or infantilized (treated as if they are a child). Examples could include news stories, photographs, videos, websites, written accounts, etc. Once you’ve found your example, write a brief description/summary of the aspects you’ve identified as marginalizing or infantilizing, and then a 1-2 page reflection on why you think this behavior is taking place. Be sure to write in detail about the item you’ve chosen, and include references to relevant material from class (textbook, articles, etc.). Bring your item, and your reflection paper, to class and be prepared to discuss. Ask students to identify examples of infantilization/marginalization within the page. Who is the target audience for this portion of the site, men or women? How do we know? Highlight how the photographs of the women, with smiling faces, are prominently displayed at the top of the page. Explain how reducing women to just their bodies is common in our culture to devalue the contributions of women – see a sports-related example of this here. Compare this page to the rest of the site. Ask students to explain why the male writers and commentators of Fox Sports are not portrayed as smiling faces alone. Ask students to conjecture why these women’s photographs are all that viewers can see, with no credentials or accomplishments listed, much less any advice about fantasy football. Why is this “girls page” separate from the rest of the site? Explain how maleness is seen as the neutral default – and so content associated with women is often separated. Explore how keeping women’s and men’s sports separate can be a source of inequality, rather than a result of it – especially in sports where women’s games are often purported to be less interesting, or less commercially viable than men’s games. Were these sports given equal time and attention, they could be equally commercially viable (see women’s tennis, for example). Ask why there needs to be a gender binary in fantasy football at all. Why, in an activity with no physical component whatsoever, does Fox Sports re-create a gender binary based on physicality (i.e. – women and men play sports separately because women tend to be smaller/lighter)? Also, remind students to be wary of taking “natural” differences too far. You might consider showing this clip from “Mythbusters” – which suggests that at least some of the differences between the sports performance of men and women is actually cultural, and not biological. Explore examples from the past, as well as modern times, where men have refused to play in the same sports as women, and sometimes even physically attacked women who attempt to enter male sports competitions. Even in traditionally male sports where women have made great strides, they sometimes receive pushback forcing them into more traditional feminine roles. 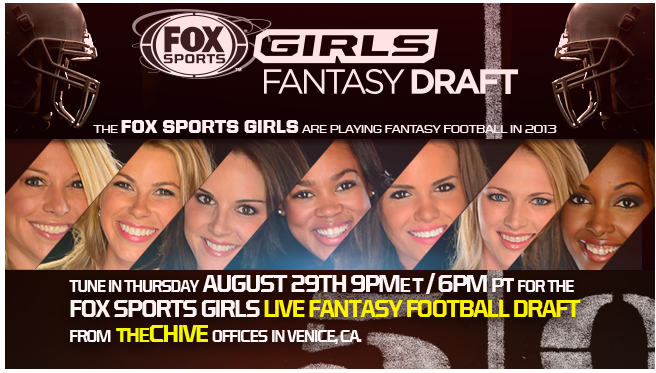 Ask students to explain why the network believed it would be more appealing to feature a fantasy football team of only women than a Fox Sports team with both male and female staffers. Have students consider why the selling point of this team is that it is populated by women? Remind students that when something is seen as a novelty, or an aberration, it’s easier to dismiss it, or treat it less seriously, than if it is presented as the norm. Have students discuss whether this article is a net positive or a net negative for women who play fantasy football. Is it a dignifying account of women breaking stereotypes, or are the descriptions in the article continuing the marginalization of female fantasy football players? Ask students to consider the difference between “bitchiness” (in this all-female league) and “trash talk” (in an all-male league). Why is this an expected part of the male fantasy football experience, but takes on a negative connotation when in a female league? Explore how social norms of female politeness persist throughout society and limit the acceptable range of female emotions and behaviors. Ask students to consider whether the statement would still make sense if she had substituted “Uncle Jon” for “Aunt Linda.” Then explore with students why it reads as humorous to be beaten in a fantasy sports game by your aunt, but not by your uncle. Ask students why a female reporter was chosen for this spot. Who are the target audiences? Would those audiences be more comfortable with a woman explaining fantasy football to them than a man? The exercise described above can easily lead into a larger discussion of gender in sports. This is a fertile area for debate including the topics of how women’s sports as a whole are seen as less exciting (and less marketable) than men’s sports, female competitors typically get paid less than men, and even female employees are largely relegated to secondary status (“sideline reporter” rather than “commentator,” for example). It could also offer an opportunity to explore the variety of ways in which women’s participation in traditionally male domains is de-legitimized. The goal of this type of exercise is to get students thinking critically about something they’re familiar with, and considering what gendered messages exist within various aspects of their lives. Ideally, these kinds of exercises will help them realize that gender isn’t something they hear about for three hours a week in the classroom, or only read about in books, but rather is something they can see happening all around them. I use documentaries as a teaching tool very often in my classes. Students love them, and if you choose the films well, they love you too. To keep students awake and engaged, I always create a film guide that they fill out as they watch the film. Of course, showing the whole film would be preferable, but most of us are working with short class periods, so I’ve cut each film to an hour or less. Course: I showed this in Intro to Sociology. Would also work well in any course or section on Food, the Environment, or Capitalism. Why is corn in so much of our food today? Why, despite the advances in technology, do we still see so many cases of food poisoning in industrial food? In the 1970s, there were thousands of slaughterhouses in the United States. Today, we have _________ slaughterhouses that process the majority of the beef that is sold in the United States. Why is it that unhealthy food is less expensive than healthy food (good calories vs. bad calories)? 1 in _____ Americans born after 2000 will contract early onset diabetes. Among minorities, the rate will be 1 in ______. How has the meatpacking industry changed over the last 100 years? How is the food industry connected to undocumented immigration? What policy changes would address the problems addressed in this film?